Name of the Recruitment Authority Kendriya Vidyalaya Sangathan (KVS), New Delhi. Name of the Designation PGT, TGT & Librarian Posts. Total Number of Vacancies 8339 Jobs. Application Starting Date 24th August 2018. Last Date to Submit Application Form 23rd September 2018. KVS Exam Date 2018 Notify Later. Kendriya Vidyalaya Sangathan (KVS), New Delhi issued a job notification for 8339 Vacancies i.e. KVS PGT, TGT & Librarian Jobs. However, KVS Online Application Form is available from 24th August 2018 to 23rd September 2018. Candidates should have completed Graduation, Post Graduation or Ph. D. from a recognized Board or University. Lower Age Limit – 35 Years. Upper Age Limit – 50 Years. How to Apply for KVS PGT TGT Vacancy 2018? KVS Recruitment 2018 Notification is out for 120 Job Vacancies. Therefore, Kendriya Vidyalaya Sangathan (KVS), Mumbai has planned to recruit skilled and efficient candidates for various Teacher Posts. In addition to this, KVS Recruitment 2018 is having PGT, TGT & Primary Teacher Jobs. 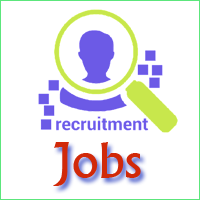 Furthermore, you can go through the detailed info about KVS PGT TGT Recruitment 2018 and apply for KVS Jobs as provided below. As a result, KVS Online Application Form is available @ kvsangathan.nic.in and willing contenders can attend the Walk in Interview on 1st, 2nd & 3rd August 2018. Name of the Recruitment Authority Kendriya Vidyalaya Sangathan (KVS), Mumbai. Name of the Designation PGT, TGT & Primary Teacher Posts. Total Number of Vacancies 120 Jobs. Advertisement Release Date 26th July 2018. KVS Walk in Interview Dates 1st, 2nd & 3rd August 2018. Job Location Mumbai, Pune, Nagpur, Nashik. Mode of Application Offline Process. Name of the Category Notification. Hence, I must say that this is a great chance to prove yourself. However, you can also go through the following departments which explains you about the selection procedure, KVS Teacher Salary, important dates, application fees, etc. In addition, you can download an application form at the KVS Official Website from 26th July 2018. In conclusion, fill KVS Application Form and attend the Walk in Interview on 1st, 2nd & 3rd August 2018 with the essential documents. Sear Candidates, you need to check the required educational qualifications and age limit criterion mentioned in the below sections. Therefore, you can download KVS Application Form at KVS Official Website. Aspirants should have completed the desired educational qualification for Teacher Vacancy with qualifiable marks from a recognized institute or University. Minimum Age Limit – 21 Years. Maximum Age Requirement – 32 Years. Kendriya Vidyalaya Sangathan (KVS), Mumbai issued an advertisement for 120 PGT, TGT & Primary Teacher Jobs. In addition to this, you can attend the KVS Walk in Interview on 1st, 2nd & 3rd August 2018 at the prescribed place. Candidates are recommended to go through the KVS PGT TGT Recruitment 2018 Notification and check category wise application fees details. Hence, you can make a payment of application fees as prescribed in KVS Notification 2018. How to Apply for KVS PGT TGT Teacher Vacancy 2018? Observe the application procedure mentioned below and follow the same while filling the KVS Application form. Search for KVS Notification 2018 PDF and verify your proficiency. Click on KVS Apply link and download KVS Recruitment 2018 Application Form. Take a print out and fill all the details and also attach your photograph. Now, attend the KVS Walk in Interview on 1st, 2nd & 3rd August 2018 at the address provided in KVS Notification 2018 with the filled KVS Application Form and the desired documents. Release Date of Advertisement 26th July 2018. We have offered the detailed description regarding KVS PGT TGT Recruitment 2018. 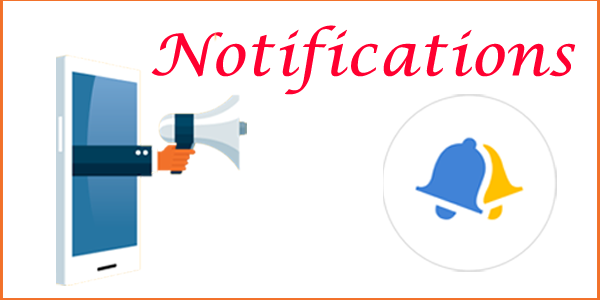 Furthermore, you can also refer to KVS Notification 2018 PDF for more detailed information. In addition to that, intenders can also download KVS Teacher Recruitment Notification 2018 from the link given below or from the KVS Official Website. In conclusion, for more latest job updates, make a visit to the Latest Employment News and also go through the various available categories.